Tito Jackson said he was thrilled to be on a list of “vibrant and transformational” people. Councilor Tito Jackson has been selected as one of the country’s 100 most influential African-Americans this year, according to The Root, an online magazine on black culture. Jackson, who grew up in Grove Hall and is running for mayor, was No. 84 on The Root 100, a list of key “innovators, leaders, public figures, and game changers” between the ages of 25 and 45. The recipients were noted for their work during the year breaking down barriers and paving the way for the next generation. The site said it came up with the list by using a unique algorithm. Officials calculated nominees’ reach — the people they touch through media and Twitter followers; their substance — and the impact of their work, graded on a scale of 0 to 10 — to determine their influence, which determines their ranking. Ultimately, they said, The Root scored hundreds of people to get the list of 100. Jackson ranked 84th on the list. Jordan Peele, writer, producer, and director of the popular movie “Get Out,” was No. 1 on the list, which also included journalist Ta-Nehisi Coates (5), controversial football player Colin Kaepernick (17), director and producer Ava DuVernay (4), and Michael Tubbs (57), who made national news when he became the youngest, and first African-American, mayor in the 167-year history of Stockton, Calif. The list also includes journalists, professors, authors, and other specialists including former Globe reporter Wesley Lowery (No. 87), who now writes for the Washington Post. Jackson said he was thrilled to be on a list of “vibrant and transformational” people. Ron Bell, Jackson’s cousin, nominated him for the award, noting Jackson’s quest to be the city’s first black mayor. The Root noted that Jackson could have easily won reelection as councilor, but instead he has opted to run against incumbent Mayor Martin J. Walsh to become the next mayor of Boston. Polls show Jackson trailing Walsh by more than 30 points. 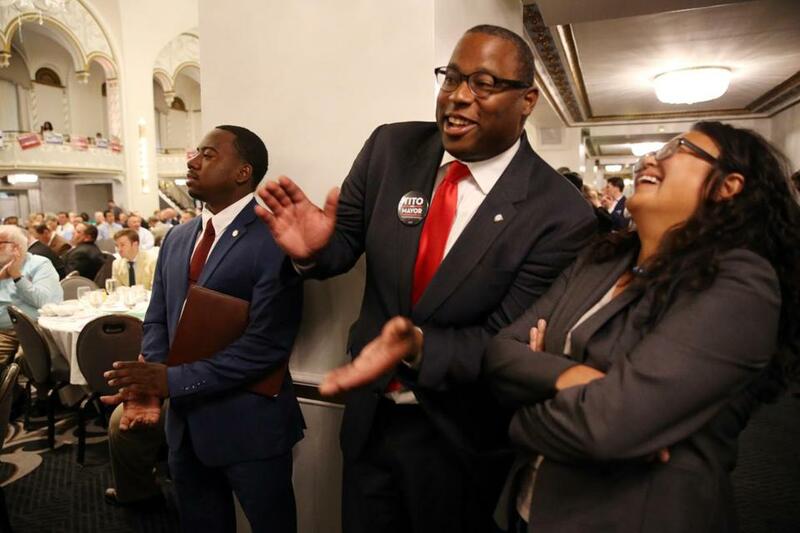 “If elected, Jackson would become the first black mayor of the city,’’ the site said.